At the age of five, my eldest son was diagnosed on the autistic spectrum. He was smart and good-natured with a distinctive sense of humor but the world often rubbed him the wrong way. When it was all too much for him, he had epic tantrums. His grandfather, my dad, was the picture of patience with his first grandson. He was a storyteller and would tell my son just the right story at just the right moment, turning an afternoon’s melt down into laughter. One of my son’s favorites was the joke my dad told about Henry, the boy with the golden bellybutton. Henry, like my son, was different from the other boys-- but that was okay because if you took a good look at that golden bellybutton, you would see that it gave off a pretty spectacular glow! 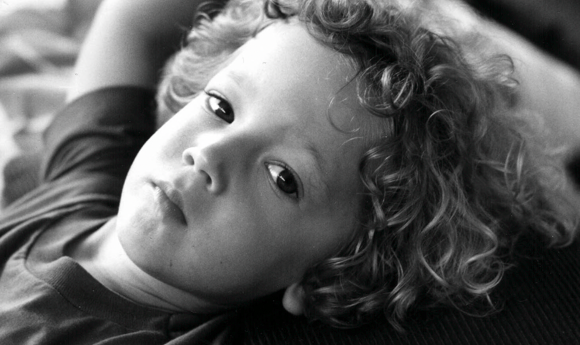 When my father died, I decided to write a memoir about his tender relationship with my son. I needed a record of the way they had been together. That was the beginning of my new novel due out from Abrams this April: THE GIRL WITH MORE THAN ONE HEART. At that point in time there was no girl. And the only heart in the story was my own, which was grieving for the loss of my dad. My wonderful editor, Tamar Brazis read the book at that early stage. It made her cry. She encouraged me to turn it into a novel. I hadn’t a clue how to do that or where to start. 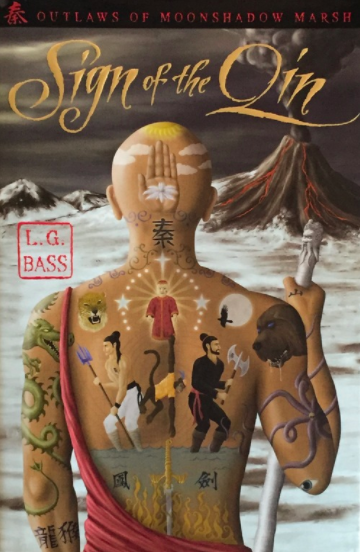 My last novel, SIGN OF THE QIN had been a fantasy. I didn’t know how to write a story with characters so close to home. So I put it aside for awhile. Suddenly, there was Briana, the heroine of my story. She was thirteen years old, a budding writer who, like me, needed to channel her talents and imagination to get through a crisis—the death of her dad, her favorite parent. She had a little brother on the spectrum prone to tantrums. And yes, she had a Grandpa Ben who resembled my father. 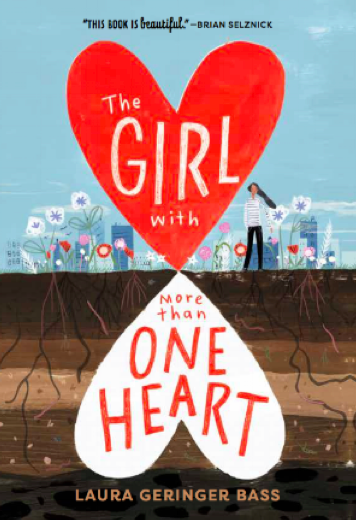 In THE GIRL WITH MORE THAN ONE HEART, Briana navigates her way through a family crisis by writing what’s in her heart. We all need help making sense of what our hearts say to us during a time of sorrow. 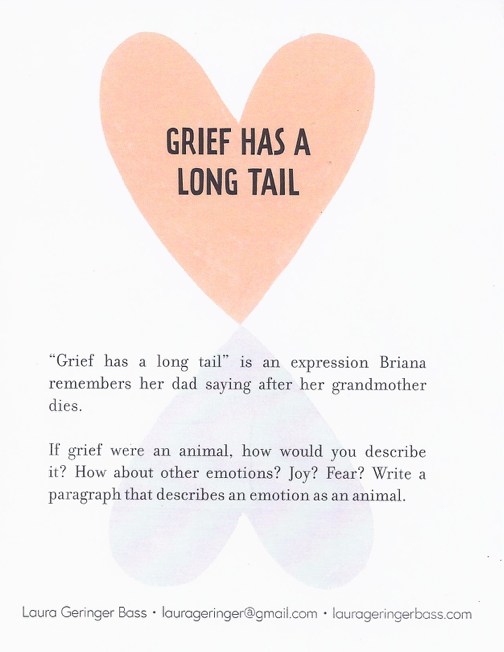 Briana imagines that she has an extra heart that speaks to her in her dad’s voice. It gives her some mysterious commands like “Find her” and “Be Your Own.” In the process of working out what those directives mean she starts to find and trust her own voice. My hope is that my book will help those who feel alone after a crisis of loss discover their true friends, their voices, and the power to tell their own stories. For the past two years I’ve been a mentor at Girls Write Now, a non-profit organization that helps girls from under-resourced schools and neighborhoods tell their stories, I’ve been moved, sometimes to tears, while listening to what the talented young women at Girls Write Now have to say about their lives. Today more than ever, young people are on the front lines, witnesses to a world filled with tragedy and loss. The news demands that children and teens deal daily with grief and loss. As parents and teachers, as writers and artists, as humans, we need to help our kids make it through. America wept and cheered to hear 11 year old Naomi Wadler rise and speak to a crowd of hundreds of thousands during the #March for our Lives in our nation’s capitol. She spoke about death, about determination, about resilience. “I urge everyone here and everyone who hears my voice to join me in telling the stories that aren’t told,” she said. Saradine Nazaire came to the United States from Haiti in 2010, after an earthquake had destroyed her home. She and her little brother were buried under rubble and rescued by neighbors. She was nine years old at the time. One of Saradine’s goals when she joined Girls Write Now was to write about the day of the earthquake. She had started to tell the story many times, and just as many times had stopped. “Why does it amuse you?” I asked. Saradine wrote the story she had started to tell many times. She wrote about January 12, 2010, the day when “every part of my life that was stable and familiar crumbled around me.” Like Naomi Wadler, she told her story in a strong voice. Hearing it, I could picture her experience that day. I could picture her , a nine year old girl, crouching under the fallen bricks of her home “like a frog before taking a leap.” I could hear her calling out to her little brother. I could hear them praying. Saradine took me there with the power of her words. I like to think there’s at least one just right prompt in the deck of 30 cards for everyone -- like my father’s just right stories for my son. This Spring and Fall when THE GIRL WITH MORE THAN ONE HEART finds its way to preteens and teens across the country, I’ll be traveling with it, talking about my book and offering my #Be Your Own writing workshop to young people who need and want to tell their own stories. Write Now! is a motto I’ve had taped to my mirror since 2008 when I left my job as the publisher of Laura Geringer Books, HarperCollins and became a writer full-time. I hadn’t yet heard Briana’s “dad heart” telling her to “Be Your Own!” but it didn’t surprise me when I first heard that voice in my head. It’s such a privilege to join now with my publisher, Abrams and with First Book, the award-winning organization that has delivered over 170 million books to children in need in an effort to deliver a Be Your Own! message of empowerment to young people all over America who sometimes need that one suggestion, that one small nudge, that one brief prompt to help them tell what needs to be told. For more writing prompts from my Be Your Own! Workshop, go to http://www.abramsbooks.com/product/girl-with-more-than-one-heart_9781419728822/ or write to me at CONTACT LAURA. My upcoming novel, THE GIRL WITH MORE THAN ONE HEART, due out from Abrams this April took me about a decade to write. My previous novel SIGN OF THE QIN was a fantasy with shapeshifting demons , heroic outlaws, a Starlord, an evil Emperor, and a trickster monkey king with god-like powers who needs to learn to love a child in his care to earn his immortality and his entry into heaven. Set in China in an imagined and long ago era when myth and legend mixed boldly and visibly with everyday life, that novel took me on a journey to China and Outer Mongolia where I adventured outside my comfort zone, witnessed mirages in the Gobi desert, slept in a yurt under an unfamiliar sky, rode on a camel and came back with thousands of photos and a journal packed with story fragments and notes. THE GIRL WITH MORE THAN ONE HEART required a more internal journey. It also took me outside my comfort zone but the landmarks I discovered along the way were those buried in personal history. The book is set in Inwood and Washington Heights on the far Upper West Side of Manhattan where I grew up. It’s a family story, with characters based on my own family. I’ve spoken about my father in earlier posts. He was the Rock of the family, a storyteller and the easiest character to write. In my book, he is Grandpa Ben. Lil, the mother in my book, was harder. Grief-stricken by the sudden death of her husband, she turns agoraphobic, forcing my 13 year old heroine Briana out of childhood too soon. I realized somewhere deep into the process of writing THE GIRL WITH MORE THAN ONE HEART, that the agoraphobia I attributed in my story to sudden loss was a condition that haunted my mother for reasons I never understood. I became aware that as a young girl I was constantly, like Briana, in search of my mother-- the beautiful joyful parent who I remembered had played with me as a baby and small child. Where had she gone? Her sadness during my middle school years made me angry. I felt it was my fault. 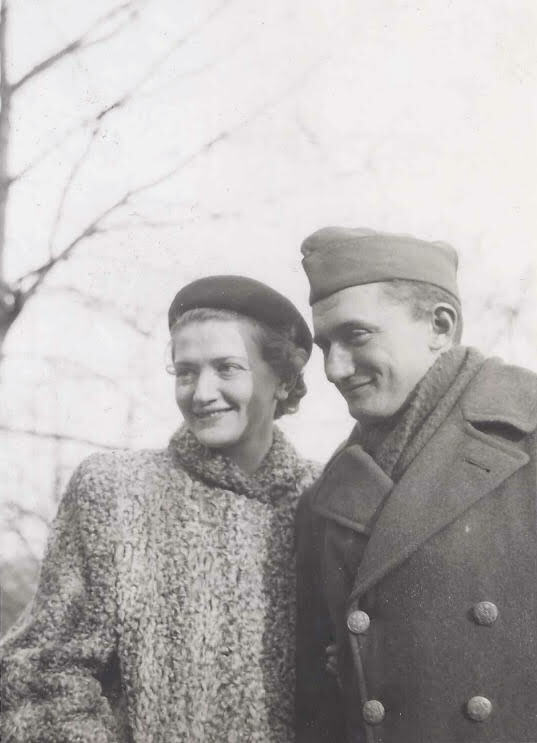 When World War II took my dad into the army, my mother had been afraid he would be shot down or blown up by a German mine. The more afraid she became, the more she wept. She wept every day. And somehow, while weeping and thinking about all the terrible things that could happen to my father, she had begun to be afraid of leaving the house. When my father finally came home from the army, he took a steady job in the garment district. Every morning, after eating his bagel and drinking his coffee, he dashed into the subway, leaving my mother at home. My father could be counted on to be back every evening by six o’clock for dinner. Eventually, my mother stopped weeping every day, but she was still on the look out for disaster. Trouble, she said, always struck out of a clear blue sky. By the time I started high school, my mother rarely went out of the house without my father. When faced with my questions about her agoraphobia, my father told me about a Japanese soldier named Hiroo Onada who was sent to an island so remote that he never heard the war was over. For years, the soldier lived alone, almost starving, sometimes sick, and madly stuck in the past. Finally, a young adventurer found and befriended him, convincing him that Japan had surrendered twenty-nine years earlier. But by then, Onada was like Rip Van Winkle; he had fallen asleep in the jungle and his fears had eaten up his future. Eventually, my mother never went out at all but one day she wandered out of her apartment and fell down while crossing the street. She broke large and small bones in both arms and in both hands as well. She had no memory of the fall or of the operation. When I went to see her in the hospital, she did not remember my name. My father was the only one she recognized and she said his name over and over again. The other day, one of my students and I were talking about revision. She asked me to name one thing I had cut out of THE GIRL WITH MORE THAN ONE HEART. “Onada,” I replied and explained: I had cut the actual reference to Onada, but remembering him and his story in the process of writing THE GIRL WITH MORE THAN ONE HEART was one of those moments of insight and revelation that makes the day to day of being a writer so enlivening. Onada added a layer to the character of Briana’s mother in the book even though he didn’t actually appear by name in the final manuscript. Remembering his story as narrated to me by my father, a story that hadn’t meant too much to me as a child, allowed me as an adult to see my mother in a new light. It helped me create the character of Briana’s mother with more warmth and understanding. I had, in a sense, long after my mother’s death, found her. To help teens tell their stories, I’ve developed a “Be Your Own!” workshop with prompts from my book. One of those prompts is MISS MY MOM/ MISS MY DAD which encourages students to write a short story or a flash that includes one of those phrases. For more writing prompts from my Be Your Own! workshop go to http://www.abramsbooks.com/product/girl-with-more-than-one-heart_9781419728822/or write to me here at CONTACT LAURA. My father liked to tell what he called Jewish jokes at the dinner table but really they were shaggy dog stories that got longer and longer each time he told them. He had two favorites: the first was about a boy with a golden bellybutton. He told that one to my son, his first grandson, who at age five was diagnosed on the autistic spectrum. Once there was a little boy born with a golden navel. This little boy’s parents loved their son very much --golden navel and all--but they worried. Oh, they worried all the time. So they took the little boy—let’s call him Henry— they took Henry to one doctor after another. And the doctors examined Henry and what did they find? “His golden navel!” my son would shout. My father raised his hand for silence, not cracking the hint of a smile. They found that he was perfect. He was perfect in every way. But he happened to have a golden navel. “Isn’t there anything you can do about it?” asked his parents. “We want our son to have the same kind of bellybutton as everybody else.” The doctors shook their heads. There was nothing they could do about it. Henry had a golden navel and that was that. So Henry’s parents took him to one more doctor. It wasn’t certain that this doctor was exactly a doctor. He had apprenticed in a hardware store to put himself through medical school. And he had a white lab coat but as for his diploma— well, let’s give him the benefit of the doubt and say maybe he forgot to get it framed and hung up on the wall. At this point in the story, my son would laugh. “Uh oh,” he would say. Henry’ s parents paid the doctor his fee. “When can you perform the operation?” they asked. “Right now,” the doctor answered. “Uh oh,” laughed my son. The doctor took out a tool kit. It was full of tiny golden screwdrivers. He tried each of those little tools in Henry’s belly button. None of them were a match. The golden belly button wouldn’t budge. Henry wasn’t sure if it was his imagination or not but he thought as soon as the doctor started to work on his belly button with his tools, it began to glow. It looked beautiful. In fact, Henry wondered if he had every seen anything quite so perfect. He found himself feeling fond and very proud of his bellybutton--just the way it was. ‘‘Maybe we should go home,” he told his parents. The joke didn’t end so well for poor Henry, but for my son it ended very well because the clear message was this: It’s okay to be different. More than okay, it’s golden. Don’t mess with who you are. Don’t wish you were somebody else. Don’t worry so much. You glow! My son made my father tell that bellybutton joke over and over again. Soon after my father died, I started to write THE GIRL WITH MORE THAN ONE HEART and that joke walked right into my book. There is a second Jewish joke my father liked to tell my son that found its way into my book as well. My son made my father repeat that one even more often than the golden bellybutton. “Tell me Harry and the Hamentaschen,” he’d say. Once there was a good little boy. He went to school and he played with his friends and he came home and he did his homework every day. He had one problem and that problem showed up only once a year. Every Purim that little boy—let’s call him Harry—was afraid of something. Can you guess what he was afraid of? My son knew that Purim was the Jewish Halloween and every year he got to take out his Halloween costume and dress up for the Purim parade but the first time he heard about Harry, the boy who was afraid of hamentaschen, he didn’t know anything about the history of the holiday. So my father told him about the “ancient Hitler” named Hamen who persecuted the Jews until beautiful Queen Esther had the courage to go public with her Jewish heritage thereby bringing about his well-deserved downfall. And this evil guy wore a three cornered hat. So every Purim, Harry’s mother, along with all the other Jewish mothers in the neighborhood, baked cakes in the shape of Hamen’s hat. And those cakes were called hamentaschen. After making sure my son understood the significance of the pastry’s three pointy corners, my father would warm to his story: “So here’s how you make the hamenstaschen. You spread out the dough, right?” My son would nod. “Then you fill the dough with nuts and raisins.” He would nod again. So Harry came in and she spread out the dough. “See? Are you afraid of dough?” she asked. “No, of course I’m not afraid of dough,” said Harry. “You put in the nuts and the raisins,” said Harry. Encouraged, she folded one corner of the dough over the nuts and raisins. “What did I do now?” she asked. The boy sighed. “You covered the nuts and raisins with the dough,” he replied. “No, no of course I’m not afraid of that,” he answered. Relieved, she took the second corner of the dough and folded it over the nuts and raisins. “What did I do now?” she asked. “Nothing! You covered the nuts and raisins with the dough. I told you already!” said Harry impatiently. And he wasn’t seen again until all the hamentaschen were gone. Like Henry the boy with the golden navel, hearing about Harry who was afraid of hamentaschen and would always be afraid of hamentashcen even when he was treated to a step-by-step demonstration of each ingredient comforted my son and gave him courage to face his own fears. Benjamin Geringer, on the 104th anniversary of your birth and the 10th anniversary of your death, thank you for introducing your family to Jewish humor, and for the many jokes you told my son. Two of those jokes walked into my book. One stayed and took up residence there. The other did not. My dad’s story of Harry and the Hamentaschen was a “darling” I killed in the process of revision. Yet it lingers, not as a scene in my narrative but in the DNA of the fictional character, Aaron, a little boy on the spectrum who, like my son, calls upon his grandpa’s wisdom as a way of facing down his fears. One of the signs noted at the anniversary of the women’s march on January 20 in New York City was “Fight Like a Girl!” I spent the day which fell during National #Thank Your Mentor month with fifty talented young women at GIRLS WRITE NOW talking about fighting -- and writing. “How do you fight bigotry?” asked one Muslim young woman wearing a hijab. It was a big question I had no easy answer to but a tall high school junior from Haiti stood and answered for me: “By writing about it,” she said. “How do you deal with your feelings when you write? How do you keep from crying,” asked another. “I do cry when I write sometimes,” I said. I’m a mentor at Girls Write Now because mentors have played such an important part in my life. Here I am with Saradine Nazaire, my mentee at Girls Write Now, putting hats and heads together at one of our weekly meetings where we share coffee, pastry and thoughts about writing. When I was 21 years old, an English major like so many others just out of college with no idea how to earn a living, I landed a job as a book reviewer at School Library Journal. For three years, every published children’s book crossed my desk. I was doing what I loved—reading and writing about books—but I wasn’t yet pursuing my real dream—to write a book of my own. I had begun to take notes for a middle-grade novel but hadn’t told anyone about it, not even my mother, my very first editor. And that’s where a mentor comes into my story. She was a legend in her own time, the author of over 75 books for young people who was also the publisher at Harper and Row, now HarperCollins. Charlotte Zolotow. As a book reviewer, I had become friendly with the late great Bill Morris, a wickedly funny, erudite man with impeccable taste in literature—a legend himself although I didn’t know it at the time. Bill let it be known that there was an opening for an editor at Harpers. I applied. Within a few minutes of meeting Charlotte, we were chatting like old friends about books we both loved and favorite authors and then, towards the end of what didn’t feel like a job interview I found myself telling her my secret: I had started work on my own novel. That’s when I got to see her famous smile, the one she reserved for authors. “I hope when you’re ready you’ll show it to me,” she said. I walked out of Charlotte’s office on air but I was scared to show her my writing, scared it wasn’t good enough, scared I wasn’t good enough. It took me about a year after I went to work at Harpers to gather the courage to show her an early draft of the story that became SILVERPOINT, my first published novel. So a bit of advice I gave the mentees gathered at GIRLS WRITE NOW that sunny winter’s day of the women’s march was: Be brave. When the opportunity presents itself (and it will) show your work. Let folks read it. In anticipation of the launch of my new novel for young people, THE GIRL WITH MORE THAN ONE HEART, due out from Abrams this Spring, I want to say thank you to my first writing mentor Charlotte Zolotow who gave me my start and to Bill Morris who introduced us. When I was in college I would habitually buy multiple copies of books I loved so I could give them as gifts to friends. One such book was a beautiful edition of Christian Morgenstern’s GALLOWS SONGS, translated from the German by W.D. Snodgrass and Lore Segal and perfectly matched by a series of profoundly playful drawings by Paul Klee. I treasured the verses and read them over and over, delighted by the “wing-burdened” Korf who binds himself into a book and wanders through the world “with pages fluttering…” having invented a “daynightlamp…which with one flick of the switch turns day, however bright, to blackest night.” That book was a world into which I could escape whenever undergraduate life got me down. The marvelous nonsense that punctuates the poems and comes in delicious “fluttertatas” of sound (spoonaleea, spoonalaya, spoonaleia, loo) made me dance around my room, reciting to mirrors. 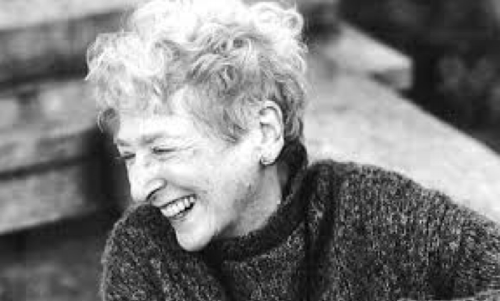 I never imagined that years and years later, heavy in spirit after the death of my father and struggling mightily with THE GIRL WITH MORE THAN ONE HEART, I would be lucky enough to meet Lore Segal and join her small living room workshop of writers. By then of course, I was also familiar with Lore’s brilliant translation of THE JUNIPER TREE and OTHER TALES FROM GRIMM illustrated by Maurice Sendak, as well with as her classic picture books, short stories and novels. So let me here thank and celebrate my friend and mentor Lore Segal and that fortunate turn of events that caused our paths to cross. Lullalee, lullalei, lullalaya, loo, I am grateful to the fate that brought us together. I met Tamar Brazis, the editor of THE GIRL WITH MORE THAN ONE HEART twenty years ago. She was twenty-one years old, just out of school, and she came to my office to apply for her first job in publishing. I became her mentor just as Charlotte had been mine and we worked together for six years before she went on to Abrams to become an editor there. I was so proud of Tamar and thought of her as my daughter in publishing. Years later, I showed her an early draft of what was to become THE GIRL WITH MORE THAN ONE HEART and she became my editor—and so in a sense, my mentor--one of the circles in life that gives me great joy. Tamar first read my book when it was a memoir and has seen it through many, many, revisions. When it came to this story in which I drew so directly from the lives of members of my own family, there were no shortcuts. I told it in third person, then in first. I aged my heroine, Briana down, then I aged her up. Her Grandpa, a character based on my own father, told many (too many) shaggy dog stories within the framework of the plot, and then finally, he told only one. And so on. Here’s a photo of me standing in front of my stack of revisions for THE GIRL WITH MORE THAN ONE HEART. It’s taller than I am and I’m six feet tall. Thank you to Charlotte and to Lore and to Tamar, who helped me be, on the pages of THE GIRL WITH MORE THAN ONE HEART, less of a dope than usual and who gave me faith that the story I had in my heart through all these years of writing and re-writing, was worth it. time that day that I signed on for regular visits to the library, a cheerful and intimate space designed and donated to the school by Books for Kids. There, Cathy Frankel and I like to read our favorite picture books to the kids every other week. Friends and New York City picture book authors and artists—share your love of reading and storytelling and consider visiting Goddard. You can contact me here and I’d be happy to put you in touch with Books for Kids. Goodbye for the summer, GRCC. I’ll see you in September.